O’SHAY Scott has now claimed five of the last six school holiday competition titles at Chandlers Ford Snooker Club. The nine-year-old Cuestars Bronze Tour player from Eastleigh added the Christmas Cup to his trophy cabinet after six days of activities with World Snooker coach Tim Dunkley. He finished the event nine points clear of Riccardo Drayton. 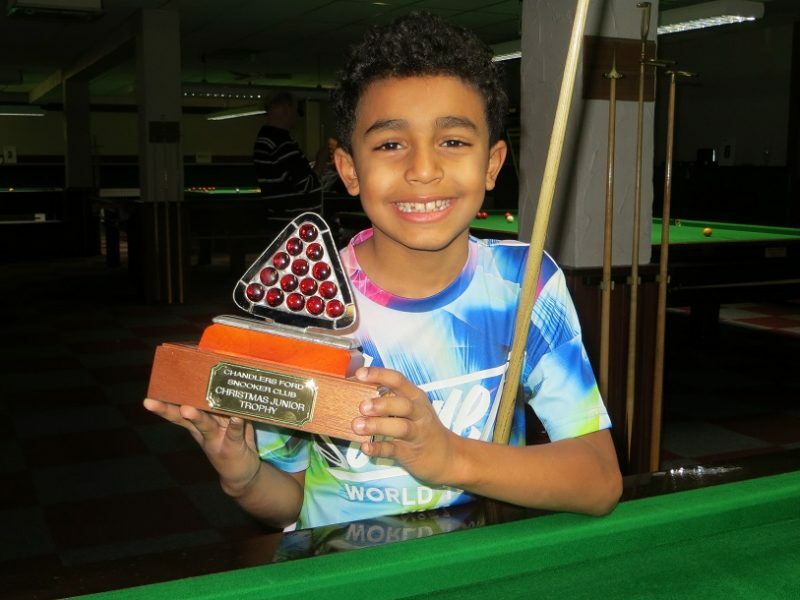 Oliver Sykes, 12, recorded the competition’s highest break of 67 against five-year-old William Thomson on the final day. Activities included handicapped snooker, billiards, cricket and the Cuestars Coaching Programme.